Dates: We offer half and full day guided climbs throughout the year, weather and open space closure dependent. Age: Please call to register climbers 18 and under. 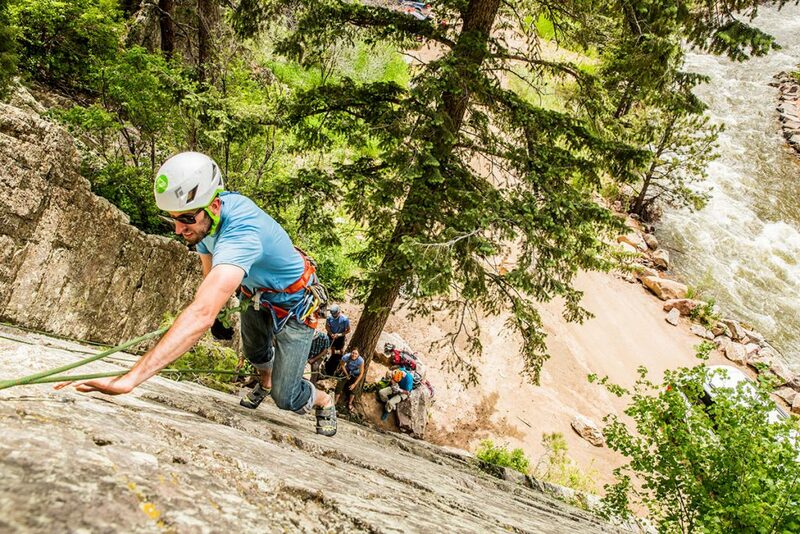 Want to learn more about climbing the Flatirons, a classic moderate rock climb? Contact us today and we will give you all the info you need. This intermediate climb, rated 5.4 – 5.6, offers climbers an amazing opportunity to experience one of the classics! Climb varied features up the middle of the flatiron to an exposed summit ridge. This route is 10 pitches and offers the intermediate climber a more advanced experience. A Boulder classic, rated 5.4, this route offers spectacular views and a great introduction to multi-pitch climbing. Enjoy the varied features as you ascend above tree line and take in the amazing views of Boulder, Colorado! 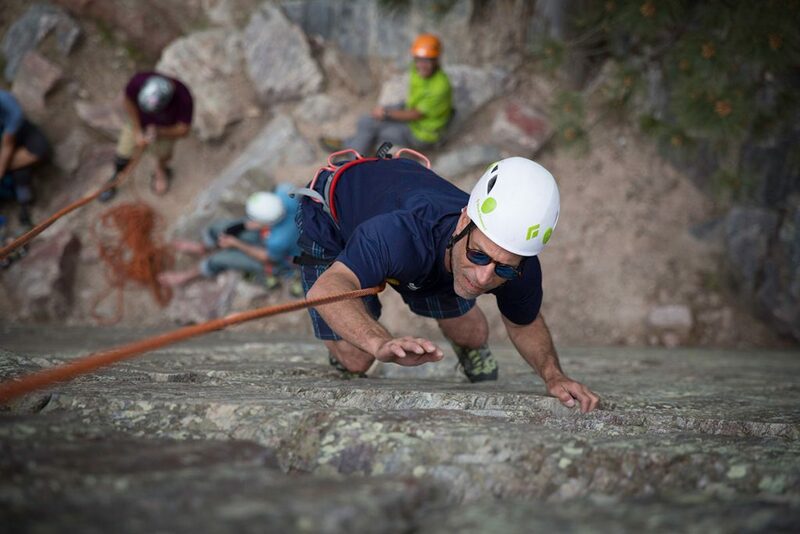 The iconic Boulder Flatirons provide a spectacular opportunity for families, groups and individuals to experience one of the most exciting introductions to rock-climbing! Our AMGA trained and certified guides will facilitate a safe, fun day, which will be an unforgettable experience. We meet at Chautauqua parking lot and start with a gear check and overview of the day. We will then hike to the base of the route, where we will review safety, gear, communication and route overview. Climbers can expect a 6-8 hour long day, depending on the overall speed and efficiency of the group. Our focus is safety and providing an enjoyable experience. Once we top out on the route, we will rappel back to the base of the rock and hike back to the parking lot. Our full day programs include our rock climbing ground school, which introduces climbers to site management practices, knots, belaying techniques, gear use, advanced footwork, rope management, anchor building and rappelling.